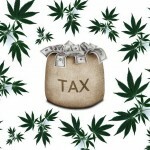 Was I-502 Tax Money Not Distributed as Voters Intended? What happened to the $70 million collected the first year? So the WSLCB has been sitting on it until the legislators changed the statutes so law enforcement and the cities would get your tax dollars instead. NEW SECTION. Sec. 26. (1) There shall be a fund, known as the dedicated marijuana fund, which shall consist of all marijuana excise taxes, license fees, penalties, forfeitures, and all other moneys, income, or revenue received by the state liquor control board from marijuana-related activities. The state treasurer shall be custodian of the fund. (2) All moneys received by the state liquor control board or any employee thereof from marijuana-related activities shall be deposited each day in a depository approved by the state treasurer and transferred to the state treasurer to be credited to the dedicated marijuana fund. (3) Disbursements from the dedicated marijuana fund shall be on authorization of the state liquor control board or a duly authorized representative thereof. House Bill 2136 (Effective date 7/1/2015) – Concerning comprehensive marijuana market reforms to ensure a well-regulated and taxed marijuana market in Washington state. This letter further responds to your public records request. The Washington State Liquor Control Board (WSLCB) received the attached public records request from you on July 22, 2015. We first wrote to you regarding your request on July 29, 2015. We received your amended request on July 30, 2015. You have phrased your amended request as follows: “This is a public records request for all official public records of disbursement of funds, any warrants, vouchers, receipts, checks issued and communications about same under I-502. The dates I am requesting is everything between January 1, 2012 to present, in electronic format, if possible.” You also attached as a reference two statutes: RCW 69.50.540 (“Marijuana excise taxes – Disbursements”) and RCW 40.14.010 (“Definition and classification of public records”). We interpret your request as seeking “any warrants, vouchers, receipts, checks issued and communications” pursuant to RCW 69.50.540 (“Marijuana excise taxes – Disbursements”). We have performed a search of our records including inquiry to the Finance Division for the WSLCB. We have discovered no records that are responsive to this request, as the Finance Division has indicated to us no such disbursements have occurred to date. If you wish to rephrase and submit a different request for identifiable records in the future, we would be pleased to process that request as we have in the past. We have neither redacted nor deleted any record that is responsive to your request as we have interpreted it, and again we respectfully deny the rephrased request that you submitted on or about July 22, 2015, as no disbursements have occurred under the statutory basis that you provided.